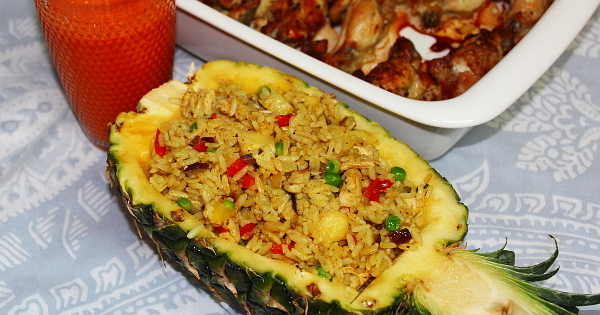 Tropical Fried Rice is the rice recipe you want to prepare when you want to take a break from the classic Fried Rice. It gives you a warm, fuzzy tropical island feeling! The coconut will be used to make coconut milk, if you already have coconut milk, use 600mls or 2½ cups. The chicken drumsticks should be enough to serve the rice with. For meat, serve with Grilled Chicken, Peppered Chicken or Onion Baked Chicken. For drinks, serve with Carrot Juice. Yum!